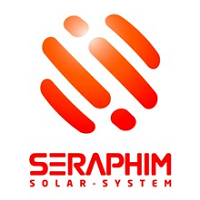 Seraphim Solar is a Chinese manufacturer of tier one panels with 10 year product and 25 year performance warranties. They are certified as corrosion resistant which makes them suitable for installation in coastal areas. Seraphim Solar now has an Australian office in Queensland. 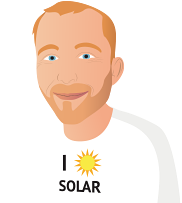 I took an in depth look at Seraphim solar panels in August 2016 and you can read what I found out about them here. Seraphim solar was founded in 2009 and is a moderate sized manufacturer of solar panels. Their production capacity was approximately 2 gigawatts at the end of 2016. This put them well behind the world leader, Jinko Solar, which shipped approximately 6.6 gigawatts of panels in 2016. As with many large producers of solar panels, Seraphim is vertically integrated and produces the silicon ingots and that solar cells are made from. This makes them less reliant on outside suppliers. Seraphim Solar produces most of its panels in the city of Changzhou, which is a one hour train ride north-west of Shanghai. In addition they also have a small manufacturing plant in Jackson Mississippi in the USA, with a current capacity of 300 megawatts. Seraphim Solar says this may be expanded to 1 gigawatt in the future, but this may not be true as in the United States it is common for companies to exaggerate their intended manufacturing capacity in order to wrangle increased concessions from state and local governments. Seraphim Solar produces a variety of solar panels. Standard sized, 60 cell panels are the type most commonly installed in Australia, but Seraphim also produces larger 72 cell panels and smaller 54 and 48 cell ones. They are all corrosion resistant and so suitable for installation by the sea. They have 10 year product warranties and 25 performance warranties. These are standard sized, 60 cell panels and their efficiency ranges from 16.3% to 17.2%. Their temperature coefficient of maximum output power, which is usually called the Pmax temperature coefficient, is -0.43% which is slightly worse than average and will result. This means their efficiency will decline by 0.43% for each degree the panel is over 25 degrees Celsius. Seraphim produces panels with built in microinverters called AC panels. They have two types. One panel has its own individual microinverter while the other shares one microinverter between two panels. Seraphim does not state on their site who makes the microinverters, but they have a 25 year warranty, which is impressive. Seraphim’s highest efficiency panels are their Eclipse line which are made with small, one fifth normal size, overlapping solar cells.. The lower cost polycrystalline version is 17.1% efficient and the monocrystalline version is 18.8% efficient. At -0.4% their Pmax temperature coefficent is average, so losses from heat will be typical for most solar panels. In addition to standard panels, Seraphim also produces black ones. These are solar panels that have a black backsheet rather than a white one and this makes the entire panel appear dark without the grid of white lines surrounding solar cells most panels have. While some people prefer the look of black panels, their performance is generally slighly lower than that of otherwise identical standard panels because they get hotter in the sun and the extra heat reduces solar panel efficiency. 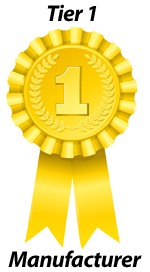 Seraphim Solar produce reliable, tier one panels and I have no problem recommending them. The seems to push out as much as the are expected to do. Very happy with them! The good rating I gave is an early rating as we have only had the one bill since the system was fully installed 5 months ago and whilst it showed reasonable savings I thought the savings on our bill would have been better. no problems they just work. No issues so far and output as expected. Generally, our 6.3kw system has never reached more than 4.6kw at any stage on full sunny days - accepting that we have not yet had a full summer day - and while this is OK as it suits the inverter and pretty much covers our needs, it is not what we were quoted. However, we are generally satisfied and certainly don't regret the investment. Well its hard to say, there are so many saying so much. They are upper middle I believe, black, and 270w. Perhaps what's best is the kids showing off with their mates landed a poorly tossed rock in the middle of them the other day and they didn't break, so they are perfect in my books. No problems so far - probably about 5 years before they pay for themselves. The Fronius solarweb system allowed me to analyse performance in real time. I built a 12 month spreadsheet based on daily production from Fronius and daily consumption from the United Energy "Energy Easy" web site. Using these two data sources, it is possible to calculate an actual savings figure that is accurate to the last cent. Some figures from the spreadsheet below: 6.5 kW (nominal) system - 25 panels %ge of solar production used by house	31.89% %ge of solar production exported	68.11% %ge of house consumption provided by solar panels 44.59% %ge of house consumption provided by grid	55.41% % of total savings due to grid consumption reduction 53.8% % of total savings due to grid export earnings 46.2% Based on a very competitive installation price from Sahara Solar and the spreadsheet savings figures, my simple return on investment for 12 months was 12.8% PA. I expect a higher ROI next year as the Victorian feed in tariff has recently been raised from 6.2c/kwH to 14c/kwH (Globird Energy). Based on this year's data, ROI next year should increase to 19.9% PA.
We opted for the SRP-300-6PA panels. The panels are producing 3.640 w but the inverter is a 3kw not getting the full potential of the panels. The maintenance check verified their output and function was normal as expected. @ 90kWh per day generated I am delighted. Installed 6.24KW of panels and a 5KW inverter. It is worth installing the extra panel capacity as it allows you to operate at 5KW for more hours a day. It works fine and output rating is as expected.